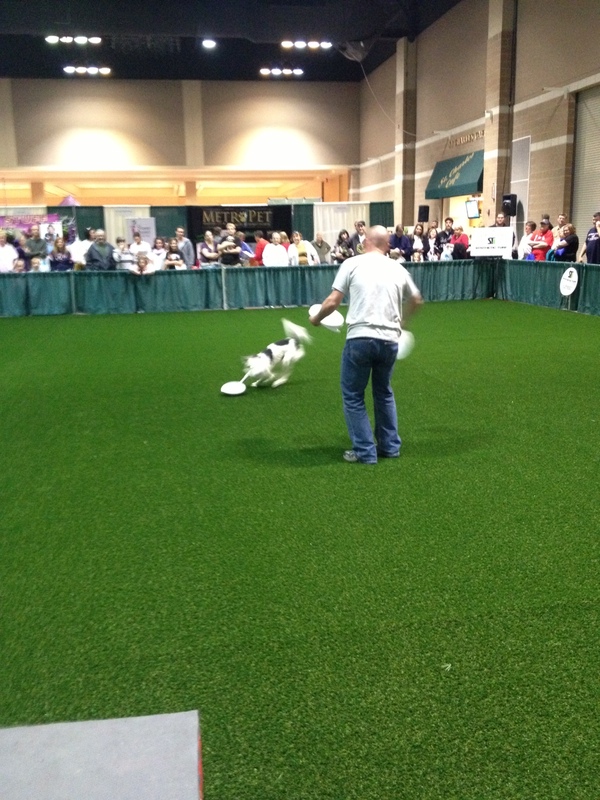 Synthetic Turf International, the leading manufacturer of synthetic turf worldwide, just kicked off a whirl wind tour with Amazing Pet Expo as a supplier for the turf agility area in the expos around the country. Synthetic Turf International, the leading manufacturer of synthetic turf worldwide, just kicked off a whirl wind tour with Amazing Pet Expo as a supplier for the turf agility area in the expos around the country. The first launch was in St. Louis, MO where thousands were in attendance with many four legged companions. 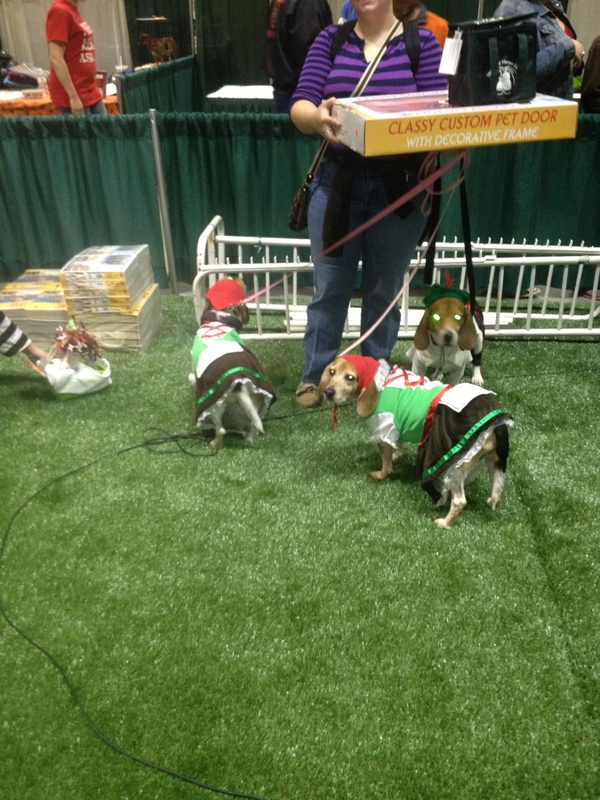 “Amazing Pet Expo is such a great event for people who love pets. They have created a way for pet owners to gather in one area to see the latest and greatest products that help ensure a better life for the pets we all own. The expos around the country allow us to showcase the best artificial pet turf in the world. We are supplying the large agility area where exhibitors and events are held so the pets have a safe area to showcase their talents.” said Kevin Barker Vice President of Sales and Marketing. “We are very excited to partner with Synthetic Turf International in shows across the country this year as the Official Turf Provider for our agility and activity courses. Their product looks and feels just like real grass and really stands out as a focal point at our shows. Participating agility clubs and demonstrators have commented on the quality and comfort of the turf from Synthetic Turf International. ", said Patti Welch, Vice President of Marketing, PR and Multi-Media. Amazing Pet Expos is produced by Amazing Expos, a leading events and marketing company serving clients across the country. Since 2009, Amazing Expos has successfully produced 55 consecutive expos and has grown from a small startup business to a national company. By exhibiting at any Amazing Expo, organizations have the chance to meet existing and future clients face-to-face. Attendees have the opportunity to try new products, buy products, or just learn about services that are available to them. This approach enhances return-on-investment by giving clients the unique opportunity to create a direct relationship with attendees. For more information about Amazing Expos please visit http://www.amazingexpos.com or for information about Amazing Pet Expos please visit http://www.amazingpetexpos.com. Headquartered in Dalton, Georgia, Synthetic Turf International (http://www.synthetic-turf.com), a division of Controlled Products, produces the highest quality synthetic turf in the industry for every possible application. Sustainability, innovation, research, the ability to customize deliverables and the use of advanced, state-of-the art technology are key priorities for the organization. Established in 1989, Controlled Products is an ISO 9001, ISO 14001 and OHSAS 18001 company. As a founding member of the Synthetic Turf Council (STC), and a STC Certified Manufacturer/Supplier, their expertise is unmatched in the industry. Their synthetic turf products are currently in use in thousands of athletic fields, playgrounds, landscape projects, golf courses and indoor sport facilities throughout the world. Controlled Products is the parent company of Synthetic Turf International (http://www.synthetic-turf.com), whose network of distributors installs synthetic turf for golf, landscape, playground, pet turf and indoor sporting facilities; Sporturf (http://www.sporturf.com) who supplies large athletic catalog customers and sells and installs athletic fields through preferred partners; GrassTex (http://www.grass-tex.com), which distributes products through retailers, carpet stores and rock yards; Grass Turf Mills (http://www.grassturfmills.com), manufacturer of private label brands for dealers and resellers and Aqua-Fab, designer of custom logos and images for synthetic turf projects. To learn more, visit http://www.synthetic-turf.com, call (800) 562-4492 or contact the company at 200 Howell Drive, Dalton, Georgia 30721.